The governor kindles hope, but tensions linger over the role she played as attorney general in regard to sovereignty issues. There’s talk of a “new era” and restored dialogue between state government and Maine’s American Indian tribes after years of growing tensions over a host of tribal sovereignty and economic issues. But repairing the fraught relationship likely won’t be easy given differing interpretations of Maine’s nearly 40-year-old “settlement agreement” with the tribes as well as more recent legal frictions between Gov. Janet Mills and some tribal leaders. Both Mills and her successor as attorney general, Aaron Frey, said they hope to improve relations with tribal leaders from Maine’s four federally recognized tribes: the Penobscot Nation, the Passamaquoddy Tribe, the Houlton Band of Maliseets and the Aroostook Band of Micmacs. As a gubernatorial candidate, Mills pledged to “meet regularly” with tribal chiefs or council members and to appoint Cabinet members who understand tribal issues. On Friday, Mills said she has spoken with several tribal leaders since her election in November and plans to speak with others as her administration gets established. While the Passamaquoddy Tribe elected a new representative this year, neither the Penobscots nor the Houlton Band of Maliseets will seat a member with the Legislature. As attorney general, Mills also clashed with tribal leaders in two high-profile legal cases. The first involved the question of whether the Penobscot Nation’s reservation boundaries included the river itself or just the land and islands. A federal judge sided with Mills in ruling that the Penobscot reservation ends at the shoreline of tribal islands but also reaffirmed tribal members’ sustenance fishing rights throughout the main stem of the river. In the second case, Mills’ office sought to block a U.S. Environmental Protection Agency order that the state craft tighter water quality standards in rivers to better protect the health of tribal members who rely on sustenance fishing. In March of last year, as Mills campaigned for the Democratic nomination for governor, the Penobscot and Passamaquoddy chiefs blasted her for supporting a U.S. Supreme Court review of a fish migration case in Washington state. In an interview, Mills pointed out that, as attorney general, she was defending the state against the Penobscot lawsuit challenging tribal boundaries. But the governor said her office also worked alongside tribes on numerous issues. For instance, Mills joined attorneys general from other states in defending the Indian Child Welfare Act in cases before the U.S. Supreme Court, and her office helped train judges and child welfare workers in how to follow the act. Mills said she also prosecuted individuals accused of illegal dumping on tribal lands and, in a clear contrast with LePage, strongly opposes federal proposals to potentially open areas of the North Atlantic to oil drilling. 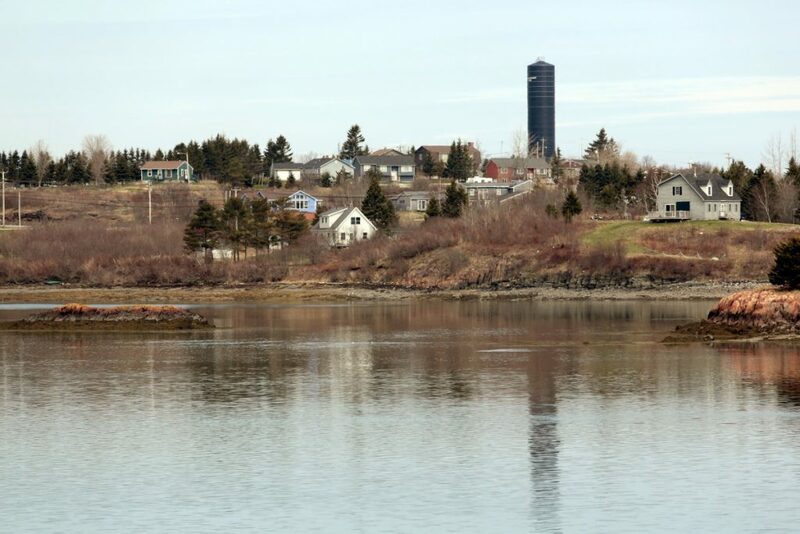 Tribal chiefs and other leaders of Maine’s four tribes did not respond to requests from the Portland Press Herald/Maine Sunday Telegram for comment on the status of their relationship with the state under a Mills administration. But former Rep. Henry Bear, who represented the Houlton Band of Maliseets in the Legislature for several years, expressed optimism about improved relations between the tribes, the Mills administration and the Legislature. Bear pointed to several bills being introduced that aim to authorize gambling on tribal lands, and to address long-standing tribal concerns about sovereignty within the 1980 settlement act. Bear said he believes the difference will be a better-informed Legislature and administration. “I’m optimistic that all parties are moving forward better-prepared to deal with these issues,” said Bear. A product of the 1980 settlement act, the 13-member commission includes six appointees from the state and six tribal representatives as well as a chairperson. However, the commission’s ability to carry out its mission has been “impaired,” Thibeault said, by LePage’s failure to appoint state representatives to the body. Mills said she spoke with Thibeault last week and planned to appoint members to the commission once her Cabinet is assembled. During her inauguration, Mills invited tribal chiefs to participate in the formal ceremony and made a reference to former Penobscot Nation Chief Joseph Attean – the tribe’s first elected chief and a guide for Henry David Thoreau during one of his visits to Maine – during her inaugural address. Tensions linger, however, over the role Mills played as attorney general in regard to sovereignty issues. Some tribal members are expected to testify against the nomination of assistant attorney general Jerry Reid to become commissioner of the Maine Department of Environmental Protection. Reid was the lead attorney for the state challenging the Penobscot Nation’s claims of jurisdiction over the waters of the Penobscot River as well as the EPA’s order for more stringent water quality standards to protect Penobscot members who rely on sustenance fishing for food. For his part, Maine’s new, attorney general, Bangor resident and former state lawmaker Aaron Frey, has also spoken repeatedly about improving state-and-tribal relations.